Pop Style Music’s Charly Black may be touring the world but he still has the gullies and trenches of Jamaica on lock. Check out one of the hottest anthems in the streets rn, Do Dem Nutn. 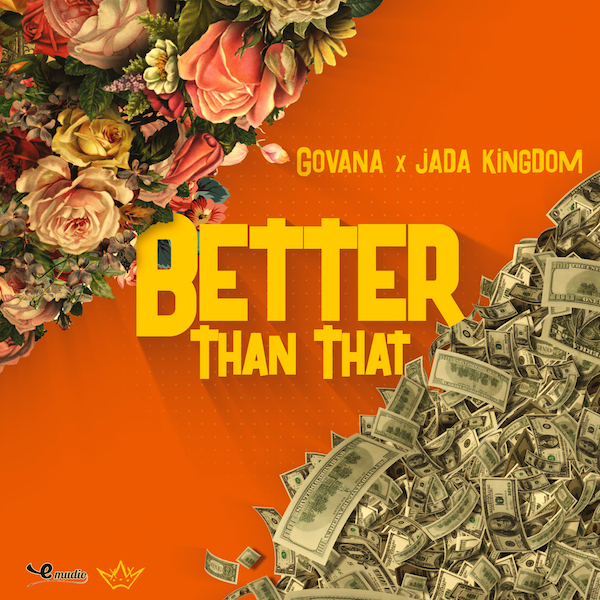 A Govana and Pop Style Music’s Jada Kingdom collab was destined to clear a path to the top before it was recorded. And my did it deliver. ‘Better Than That’ shot to #1 Trending on YouTube and stood undefeated for 5 days. A week and 550k views later its still trending top 3 and bunning down every dance, radio station and device from Kingston to the world. Pop Style Music’s triple-threat artist/musician/producer Serani has achieved many things on his musical journey – from platinum plaques as a producer to his timeless Dancehall classic No Games, Serani has outlasted many of his peers in the game. His continuous hard work, touring and dedication to his craft continues to pay off and he has now been added to the 2018 staging of the prestigious Essence Music Festival in New Orleans. Spread over the weekend of July 6-8 the Essence Festival is billed as America’s biggest celebration of Black Women and Black Culture. With free conferences and expos in the day the main focus of the festival are the nightly music events, held inside the city’s landmark Superdome Arena. Among the headliners who Serani will be performing alongside are Janet Jackson, Mary J Blige, Erykah Badu, Snoop Dogg, Miguel, H.E.R and Daniel Caesar. Essence Festival also likes to give its thousands of attendees some of their favorites amor years gone by such as Kelly Price, SWV, Backstreet, Queen Latifah and Xscape. Serani, who will be performing with his band, is delighted to be booked for the event. Serani released his latest self-produced single ‘I Will Be There” last Friday. Prior to performing at Essence Serani is slated to perform in Canada this weekend before appearing in Tampa, Atlanta and Orlando, with shows in Haiti and Colombia scheduled later on in July.